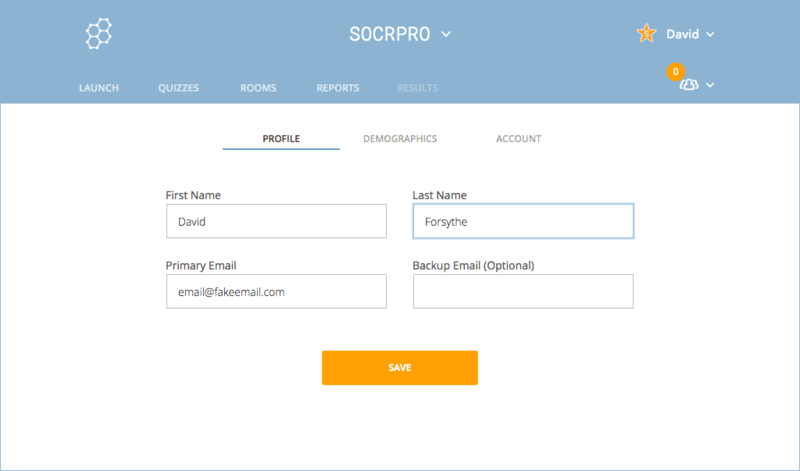 After logging in to Socrative, select Profile from the Account menu at the top-right of the header. This is where you can access the information you provided when you initially set up your account. There are three sections to your profile; Profile, Demographics, and Account. Click any of these headings to jump directly to that section. In Profile, you can change your name and email address or add an optional backup email address. If you make any changes, be sure to click Save. 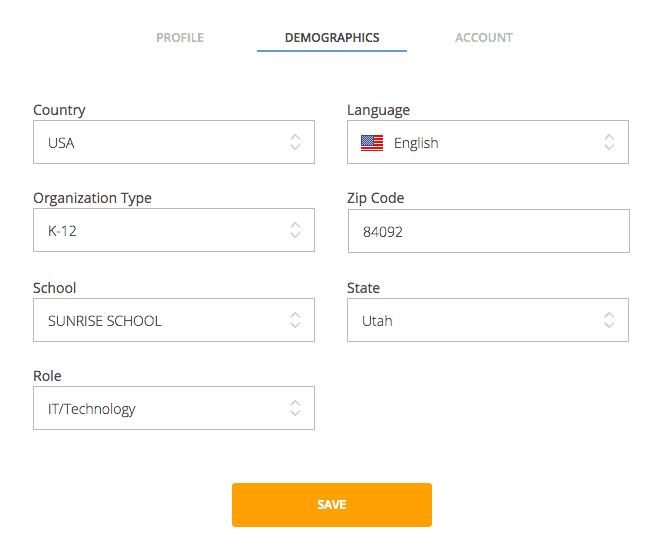 In Demographics you can change Socrative's default language or edit information about your school and position. Once again, click Save to keep any changes you make. 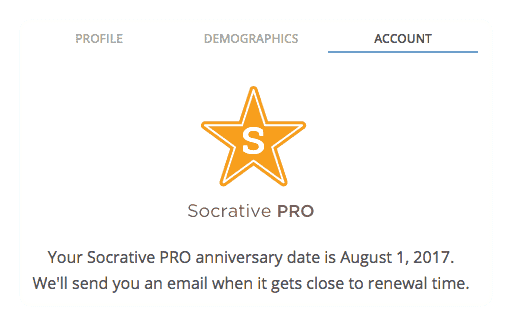 In Account you'll be able to see what type of account you have (Free vs Pro) and also view your renewal date. When you are finished and have saved all your changes, click Launch to return to Socrative.